The iPhone 6 struck the right balance between size and weight, added key new features like Apple Pay, and improved foundational things like battery life and storage capacity. So how does the new iPhone 6S measure up to the very high standard set by its predecessor? Is It Better Than the Best? It's a cliche to say that every generation of the iPhone is the best ever, but that was more true for the iPhone 6 than for any other model. The 6 may have been the perfect version of the iPhone. It's hard to top perfection, and whether the iPhone 6S series has done it is tough to say. As with all "S" models, the improvements are hard to see but easy to experience and translate to a fantastic device. The only things that keep the 6S from being clearly superior to the 6 series are minor: the 16 GB introductory model offers far too little storage, it would be great to get the optical image stabilization from the cameras on the 6 Plus and 6S Plus on this model, and battery life hasn't improved. As you'd expect, there are improvements everywhere, starting at the phone's heart. The 6S is built around Apple's 64-bit A9 processor, this time backed by 2 GB of RAM, doubling the 1GB in the previous generation. You'll also find an M9 motion co-processor and improved 4G LTE and Wi-Fi networking chips for faster performance. The cameras—already among the best on any smartphone and the most popular camera of any kind in the world—are substantially improved, too. The back camera jumps from 8 megapixels to 12 and adds the ability to record video in ultra-high definition 4K resolution. The user-facing camera takes 5-megapixel photos, up from 1.2 megapixels on the 6 series. Even cooler, the 6S's screen functions like a camera flash, emitting a pulse of light to improve selfies in low-light environments. These improvements add up to deliver substantially better photos and videos. As with the 6 series, the 6S offers software-based image stabilization, while only the 6S Plus sports optical (i.e. hardware) stabilization. That feature delivers superior photos in some scenarios. The cameras combine with the 6S series' other major improvement—the screen—for one of the phone's most eye-catching features. Perhaps the most headline-grabbing feature of the 6S series is Live Photos, which transform still photos into short animations. Live Photos are triggered by pressing hard on the 3D Touch screen built into both models. 3D Touch allows the screen to understand how hard you're pressing it and respond to different levels of force. A tap is still a tap. A light press triggers a "peek"—a preview of content like a website without going to that site or an email without opening it. A hard press triggers a pop—a shortcut on an app icon or turning a peek from a preview into the main content you're viewing. It's a revolutionary feature that unlocks new interface options and makes the iPhone able to support a new, more subtle range of interaction. It works smoothly and intuitively. While it takes a few tries to master, and it can be easy to forget about from time to time, expect it to be a deeply integrated feature in all future iPhones. As with the 6 series, the iPhone 6S and 6S Plus aren't terribly different. The main areas in which they differ are screen size (5.5 inches on the Plus vs. 4.7 on the 6S) and the attendant physical size and weight, battery life (the Plus offers more), and the already-mentioned camera. The iPhone 6S Plus is just as great as the iPhone 6S. The major factor that will determine which phone is best for you is size. Some people prefer the larger screen and the real estate it offers for productivity and improved video and games. To others, the phone is simply too big for their hands or pockets/purses. If you think you might want a 6S Plus, check out both models in a store. You'll know pretty quickly which is right for you. Storage at the Low End: The introductory 6S model offers only 16 GB of storage. In a world where 1 hour of 4K video takes up 21.9 GB and the iOS itself needs 2-4 GB, 16 GB is far too small. The 7 series should start at 32 GB. Image Stabilization: As mentioned earlier, it would be ideal to see the 7 series add optical image stabilization to the lower-priced models. Touch ID Responsiveness: The Touch ID fingerprint scanner on the 6S series is faster than the scanner on the 6 series, but it's still a little flaky, failing to recognize fingers too often. Battery Life: The 6S series' battery life is good, but not any better the 6's. Apple is obsessed with making its devices thinner. I suspect many people would be happy to accept a slightly thicker iPhone if it had more battery life. 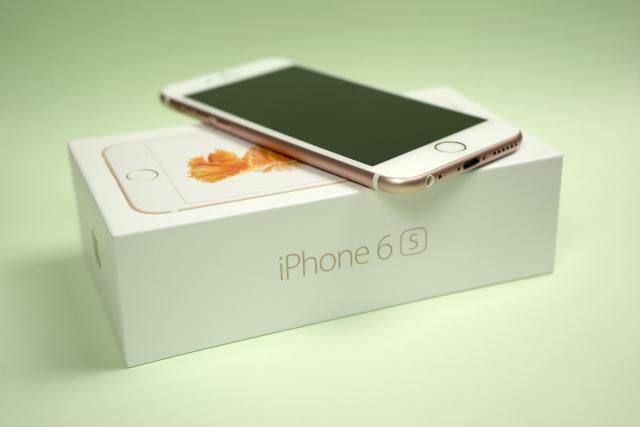 The iPhone 6S series isn't the major leap forward that the 6 series was. That's not a surprise: full-number models are always big jumps, while "S" models are refinements on their predecessors. That's been Apple's pattern for years and isn't likely to change soon. That means that the 6S, while a terrific phone, isn't quite as big an improvement over the 6 as the 6 was over the 5S. If you're in a position to upgrade at a discounted price, or are using an iPhone older than the 5S, the 6S is a no-brainer upgrade. Do it today. If you've got a 6, though, it probably makes sense to check out the iPhone 7.